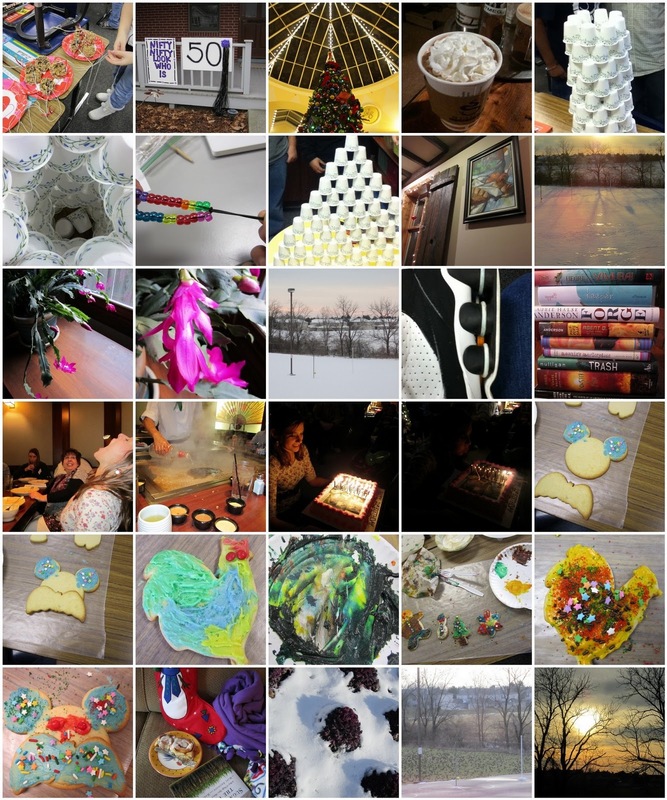 My 365 Photos for 2010 are here. The Poetry Friday Roundup is at Carol's Corner today. 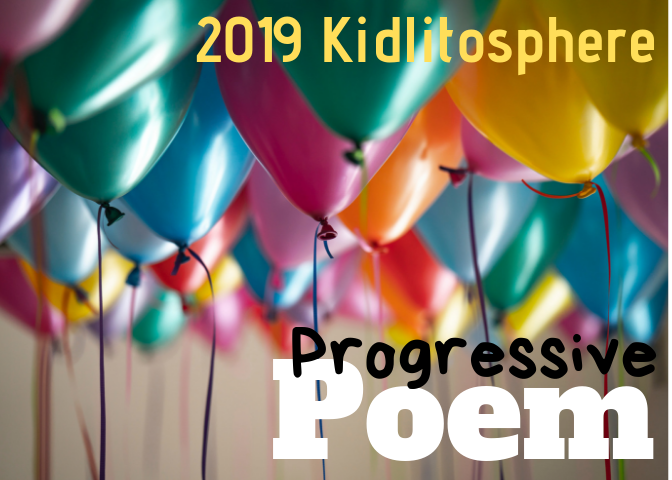 If you are a member of the Kidlitosphere Yahoo Group, the html code for a Jan-June Poetry Friday Roundup Hosts gadget in your sidebar is in the "files" area. If you aren't a member or can't find it, just drop me a line (mlhahn at earthlink dot net) and I'll send it to you. #bookaday #3 (Sugar Changed the World), #5 and #6 have me thinking hard about myself as a nonfiction reader. I loved Sugar Changed the World, and hungrily read every word of the book. 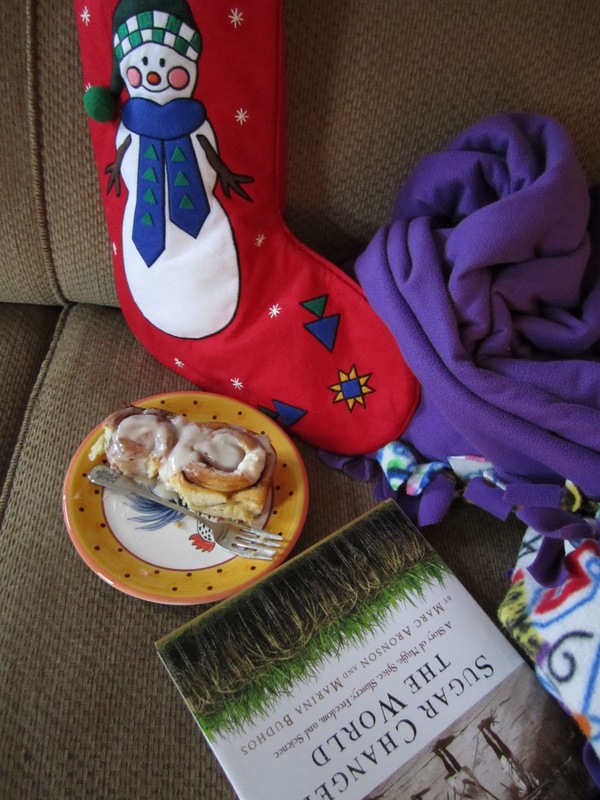 Okay, maybe "hungrily" is an adverb better used to describe how I ate the cinnamon rolls in the picture, and not so much how I read the book, but my point here is that I didn't read The War To End All Wars with that kind of eagerness. Truth be told, I mostly skimmed it. But why? Lack of background knowledge? I had about the same amount for Sugar. The chronological format? Maybe. The Red Flags of Textbook Reading may have been raised in my brain by the chronological telling in the first part of the book and I was not able to recover control when Freedman switched to topical chapters. However, I think what made the difference for Sugar Changed the World was that Aronson and Budhos worked so hard to link their information to the stories of real people -- first to their own family stories, but then to the stories of real people. Yes, yes, The War TEAW is filled with Real People, filled to the bursting with every important name of every important player in the whole shebang. And that's the difference. Names vs. Stories. And that seems to be the difference for me as a reader. I happily dug into Revolutionary War history with Laurie Halse Anderson's FORGE: Story. On a separate note, as I look for big themes that connect my #bookaday reading, I notice that I have read two books that describe total train wrecks: Keeper and The WTEAW. I yelled (inside my head) at Kathi Appelt all the way through Keeper as disaster led to disaster, but I couldn't put the book down knowing that resolution of some kind would come by the end of the novel. Reading about how assassinations and misunderstandings and messages delivered too late resulted in the development and use of weapons of mass slaughter and the paving of the way towards the jittery ("Current Terror Level: Yellow/Orange") way we live now, was hard. Really hard. So maybe that's why we need Freedman's book now more than ever -- there's not just one author who can turn around this story of our country's/world's destiny. We all need to study what did and didn't work in the past and find a better path toward the future. I was going to take a day off the heavy stuff today and read something a little bit lighter, but after writing the words in that last paragraph, I'm thinking I'll go ahead with my plan. Next up for #bookaday #7 -- THEY CALLED THEMSELVES THE KKK. I am LOVING #bookaday started by @donalynbooks. Whether you are participating in the holiday version of #bookaday or not, following the #bookaday hashtag on twitter will give you lots of great books to add to your TBR pile. We are on Day 6 of vacation and I have read 8 fabulous books! I thought I'd share these quickly before I move on to the 2nd half of the event. I am all about characters and read completely for character. I have to love the characters to love the book and you will notice that I love all of the new characters I've read about. Most of my #bookaday reading has focused on middle grade novels. I find that no matter how much I read, I can never keep up with all of the great books coming out for our 3rd through 6th graders. They are the readers I have always been most interested in and it has been nice to make time to catch up on some of the books I've been wanting to read. I am anxious to share them all with students when we get back to school. PENNY DREADFUL by Laurel Snyder was my first #bookaday read and it was a great one. I loved the the characters. This felt a little like Polly Horvath but also a little like some of my favorite books from childhood--A LITTLE PRINCESS, THE SECRET GARDEN, etc. It is a quirky,upbeat kind of book with some unique characters. This is probably a book I'll share with 4th and 5th graders.A great fun book all around. I was very excited to get an ARC of MARTY MCGUIRE by Kate Messner. This is the first in a series due out in May of 2011. I am always looking for great new books for kids newer to chapter books and Marty McGuire is a great book for those readers. Again, I love this character in this book. This is a great read for kids who love Judy Moody, Clementine, Roscoe Riley, etc. The story is told in first person by Marty and she is a character you love almost instantly. She is a spunky girl who knows how to solve a problem and be herself. I am looking forward to more Marty McGuire books! There are not many books that would make great reads for ages 6-12, but I think LULU AND THE BRONTOSAURUS would be a great read aloud for grades 1-5. Kids of all ages will love this book. Mary Lee reviewed the book and I immediately moved it to the top of my pile. Judith Viorst is brilliant as always, and a fun feature of the book is the way that she chats with the reader throughout the story. I am a huge fan of James Preller and finally had a chance to read his book BYSTANDER. This is a book about middle school and bullying. The storyline and the characters are believable and this would make a great choice for a book club or read aloud. The book provides lots to talk about in terms of how kids treat each other and how they handle difficult situations. James Preller has a good handle on this age group and that is important for this story. A LONG WALK TO WATER by Linda Sue Park was a very powerful read. I hadn't realized before I started that this story, about the lost boys of Sudan, was mostly true. I think it is hard to write about hard topics in a way that is accessible to middle grade and middle school readers but this book is done perfectly for this age. The two stories that Park tells come together brilliantly and the difficulty is clear. This is a book that will live with me for a long time and I think it would make an amazing read aloud for 5th or 6th grade. I discovered Lauren Oliver, a great new YA author in early December. I received BEFORE I FALL in my ALAN box and read it in early December. Oliver has a new book coming out in February called DELIRIUM and I was able to borrow an ARC. I forgot how much I love YA and am thrilled to have discovered Lauren Oliver. DELERIUM tells the story of a society who has figured out a way to cure people from love. An interesting concept and great characters. Looking forward to reading everything that Oliver writes in the future. I don't have much time to read YA Lit but will make time to read anything that she writes. THE RABBIT PROBLEM is a picture book by Emily Gravett. I love Emily Gravett and am not sure how I missed this book. This is a fun picture book around the Fibonacci problem posed hundreds of years ago. The book is set up in calendar form and Gravett includes many unique features and great humor as always. I love every book by Lisa Graff so was thrilled to have some time to read SOPHIE SIMON SOLVES THEM ALL. This is a bit of a different book for Graff--meant for a bit of a younger audience. Sophie Simon is another character I love and the story is a great one for 3rd-4th grade readers. I haven't heard that this will become a series, but it would be great news if it did! I love every book that I've read and recommend every one of them. I am so loving #bookaday! I am already looking forward to participating in Summer #bookaday. I want to reread this book right now. A review in threes by Travis at 100 Scope Notes (and links to other reviews). An interview at The Brain Lair with Kathi Appelt that gives insight into the "props" in Keeper. Today's #bookaday, for a total change of pace: THE WAR TO END ALL WARS. I think I'll follow it with FORGE on Wednesday. This is my new favorite fractured fairy tale novel/series. Jack's (of the beanstalk) son meets a "princess" from the "real world" when she falls through a blue circle of fire that appears in midair. After that, it is nonstop Huntsmen, magic items, fairy tale characters (and even a Fairy who makes a nest in May's hair, and who does not have a tail, as Jack keeps pointing out to May). "These are challenges," Jack told her. "That's it. We are going to win. You know why? Because it doesn't matter if you're in a fairy tale or here in real life, doing the right thing still counts for something. We're going to win because we're good, decent people trying to accomplish something noble." "Uh-oh," May said, backing away from the Mirror. "That pretty much covers it, Jack agreed, yanking her back more quickly. "The word for 'a piece of sugar' in the ancient Indian language of Sanskrit is khanda, which, as it passed through Persian to Arabic to Europe, became candy." This book encourages teachers to trust the ability of middle and high school students to grapple with the big ideas of slavery and freedom that are presented in this book. If you're going to think about the history of sugar and the labor that produced it, you'll also wind up thinking about the current overseas sweatshops that produce the cheap clothing we buy in our U.S. stores, and the U.S. government's immigration and citizenship laws that keep Mexican families who provide cheap labor from becoming U.S. citizens. And sugar consumption. And current trends towards obesity. The book has multiple timelines in the back matter: A Master Timeline of Sugar in World History, plus timelines for England and Sugar; France, Sugar, Slavery; Haiti; British North America -- United States; and the Age of Science. There is a page of links to the more than 70 images in the book, as well as slave music and videos of slave dances at Sugar Changed the World. Aronson encourages teachers with SmartBoards to use these images, and also students looking for images for their own reports. "A book is one product of a research journey, but there is not reason why it should be the only one." ...but I can't think too hard about that because I need to grab a plate of Christmas cookies to nibble for breakfast while I get started on #bookaday #4: KEEPER by Kathi Appelt. and an abundance of poetry! Schedule change reminder: Next week we'll be celebrating New Year's Eve with Carol at Carol's Corner. 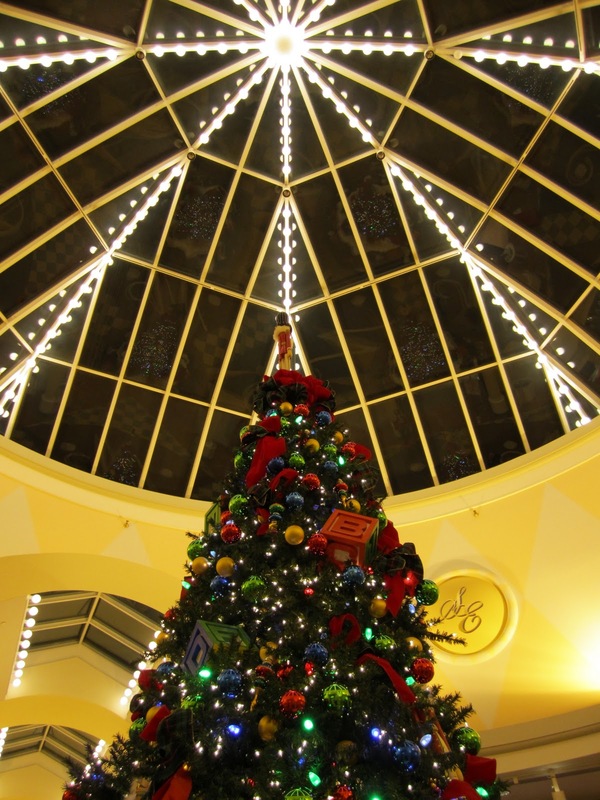 Diane is in first with her trifecta of offerings: "Shoplifting Poetry" at Random Noodling, a Poetry Friday quote at Kurious K's Kwotes, and "The Donkey's Song" from Jane Yolen's HARK! A CHRISTMAS SAMPLER at Kurious Kitty's Kurio Kabinet. Sally considers the bittersweet side of Christmas memories with a Victorian poem at The Write Sisters. Laura Shovan found the picture book that tells the family story behind Clement Moore's "A Night Before Christmas." Perfect timing! Check it out at Author Amok. 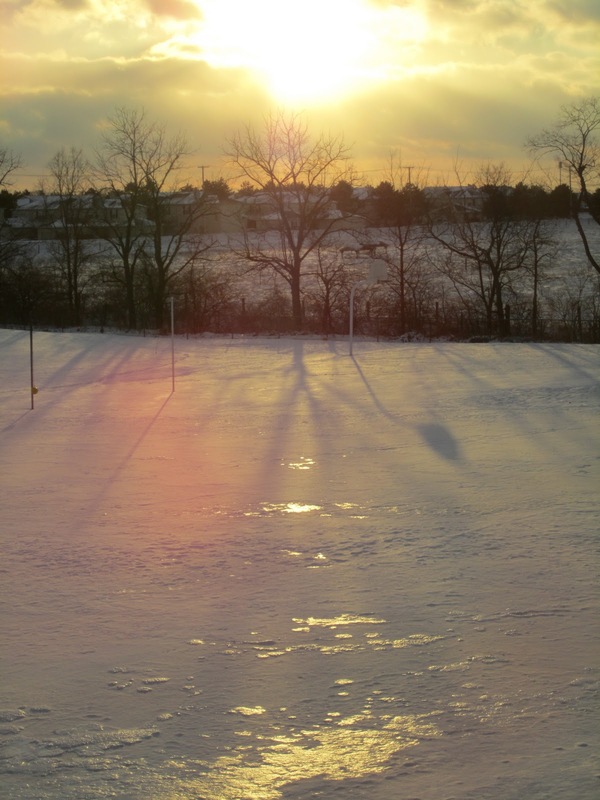 Laura Salas sends us a holiday greeting in haiku at Writing the World for Kids, and also the week's 15 Words or Less Poems, inspired by "metal mountains." Madigan reviews UBIQUITOUS at Madigan Reads. Sally shares a Christmas carol at Castle in the Sea. Elaine has a Christmas memoir poem at Wild Rose Reader and more Christmas memories at Wild Rose Reader. Andromeda blesses us with some Rumi, a question to ponder, and a beautiful photo at a wrung sponge. Thank you, thank you, thank you, Carol for sharing two FABULOUS versions of the Hallelujah Chorus with us today. They both bring tears to my eyes -- the Holy brought down to Earth in the most unlikely but most Human of all places. 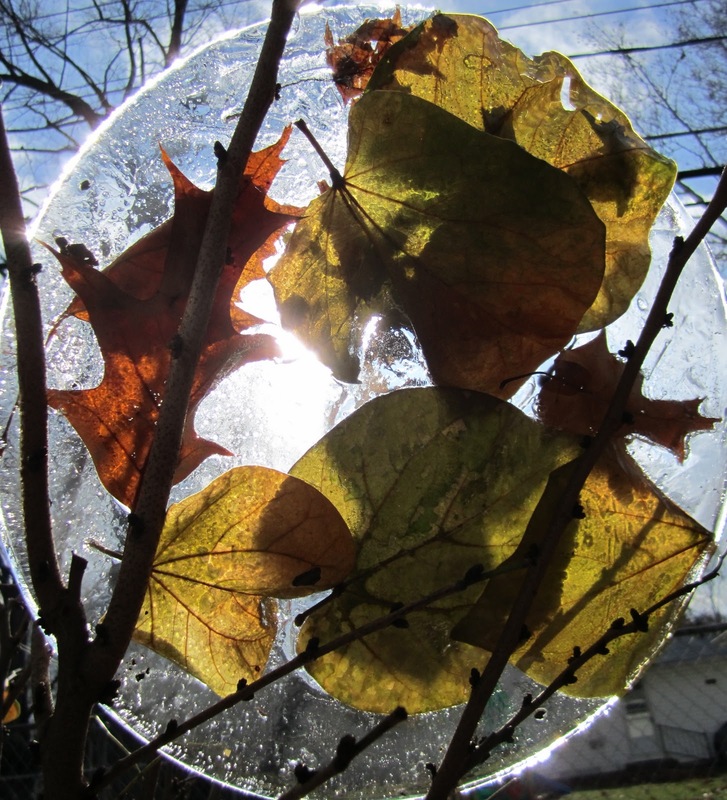 The message of the day is at Carol's Corner (and follow the link to Cynthia Lord's place). An e.e. cummings Christmas Eve greeting comes to us from Jules at 7-Imp. We've got another carol of the season from Ruth at There is no such thing as a God-forsaken town -- the original words to Hark the Herald, Angels Sing. Within this poem is Ruth's wish for Haiti this season. Blythe has a star, a tree, a moon, the Solstice and a wish for the season at her place. Jone shares an original shadorma at Check it Out. 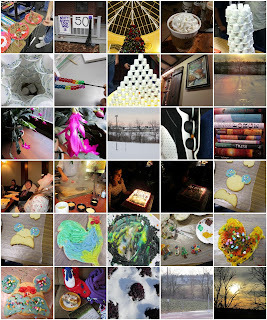 Shari at Shari Doyle reviews Jane Yolen's Snow, Snow, and a great montage of holiday pictures, complete with cookies and cats! Head over to Live. Love. Explore! where Irene has a vlog of a Christmas poem from her new book. 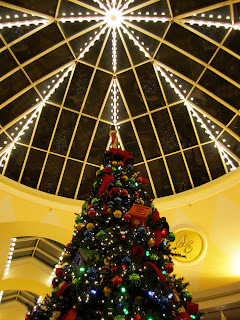 Jennie at Biblio File has got the birth of every blessed child on her mind in this season of birth and new beginnings. Sounds like there will be a new baby in her house come summer solstice! Congrats, Jennie! Shelley's ongoing tale of "poems about the old days" -- the Dust Bowl days -- can be found at Rain: A Dust Bowl Story. It's already a good first day of break -- I've finished my first #bookaday and I haven't even had a plate of Christmas cookies for breakfast yet! Happy #bookaday! I'm off to eat that plate of Christmas cookies for breakfast! Publishers Weekly didn't like this book too much, but I'd venture to say that they didn't read it aloud to a roomful of living, breathing children! If they didn't read it aloud, they have no idea how infectious Lulu's song is, or how much fun the chatty narrator is. But has she really changed? You decide -- think about how she runs away from Mr. B at her first opportunity. But think about how she mends her relationship with the snake, the tiger and the bear. And think about each of the three alternative endings -- which one is too sour, which one is too sweet, and which one is just about the way life really works, give or take the part about the brontosaurus? This is a very fun read aloud. Very fun. To the reader of our blog who recently asked for chapter books to read aloud to Kindergarten -- this one receives my endorsement! And I heartily recommend that it be read aloud to first, second, third, fourth and fifth graders, too! the public library says its subjects are: Behavior -- Juvenile fiction., Apatosaurus -- Juvenile fiction., Pets -- Juvenile fiction., Birthdays -- Juvenile fiction. Stay tuned for daily updates....beginning Thursday. Fluff the pillows on the couch, bring over the fuzzy throw, get my mug ready for tea...ready for Thursday. This summer, Donalyn Miller (@donalynbooks on Twitter) shared her Book-A-Day Challenge with us on her blog. Her goal was to finish a book a day all summer. She shared her reading via blog and Twitter (#bookaday). As her pile grew this fall, Donalyn suggested the book-a-day challenge again over holiday break. Lots of people jumped on board to join. Because my pile of books has grown and grown with no end in sight, I thought I'd try to participate this year. It seemed like a good time for me to catch up on some great books I've been dying to read. If you want to join us in meeting a reading goal, just tweet using the hashtag #bookaday. I decided to try to catch up on Middle Grade novels for the #bookaday challenge. I am trying to fit in a few YA novels before break begins but have a stack of 12+ middle grade/early YA novels that I am hoping to read during #bookaday. 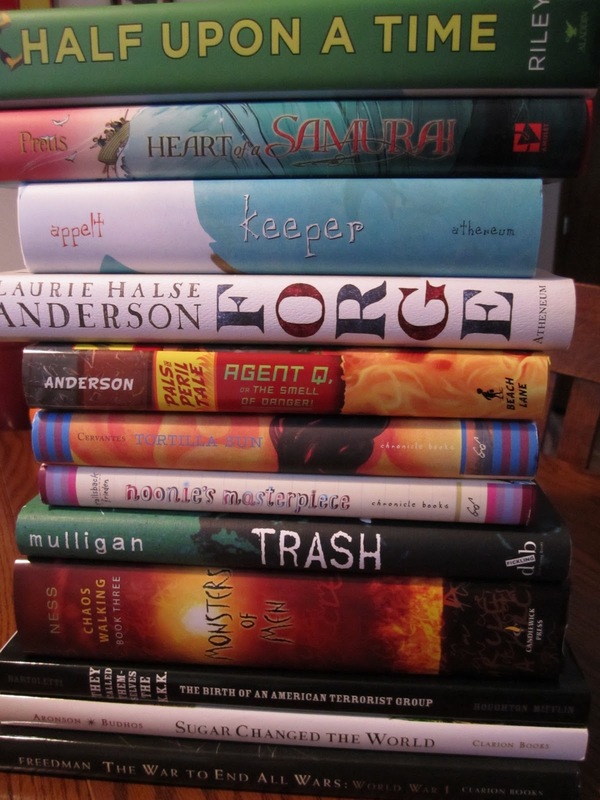 Many of these were in my ALAN box but I am choosing the ones that lend themselves more toward younger YA readers. With a K-5 building, I am exciting to catch up with new books our older kids may love. Here is what is on my stack so far. This list could change, but this is how it stands right now. Who doesn't love cute baby animals? In my quest for great nonfiction for elementary kids, I came across ZOOBORNS (the book and the blog) from 2 different sources. During my last visit to Cover to Cover, Bill at Literate Lives had ZOOBORNS: ZOO BABIES FROM AROUND THE WORLD by Andrew Bleiman and Chris Eastland on his pile of books. I immediately ordered a copy. That same weekend, I learned about the blog ZOOBORNS from Larry Ferlazzo on Twitter. 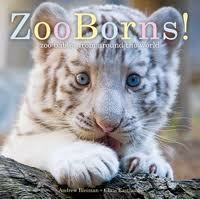 The book, ZOOBORNS, is a great picture book for children. Each page in the book focuses on one specific baby animal born in a zoo somewhere in the world. 4-6 lines of text accompany each animal photo. The end of the book gives more information about each animal, their home zoo, and their conservation status. I imagine this book will be checked out at all times in the library. This is a great nonfiction book for young children. It is all that I look for when looking for nonfiction for young kids--great photos, interesting information and accessible text. It would also make a great nonfiction read aloud. The blog ZOOBORNS is quite fun and I shared it with several 3rd and 4th grade classes this week as we are trying to expand their nonfiction reading lives. Our kids are very honest about preferring fiction over nonfiction but my theory is that they haven't yet found interesting, accessible nonfiction text. So many of the kids were excited about ZOOBORNS. This site highlights different baby animals from zoos around the world. It is updated often so there is always something new to read and learn. The side tags help readers who want specific information. Readers can follow a certain kind of animal or a specific zoo. This site is packed and seems accessible to middle grade readers. It is tempting to just can the blog and enjoy the adorable photos but I am hoping that this site encourages children to read the text that accompanies the photos. If you are looking for any last minute gifts, this would be a great gift book. And I just noticed that there is another in this ZOOBORNS series. How exciting! I'll have to order it right now..
Tales2Go is a great app for kids. It is full of hundreds of stories told by various artists and organized in a way to be accessible to kids. This month, Tales2Go is offering a school promotion in which schools can get a FREE subscription (for up to 5 mobile devices). This offer is good through January 15, 2011. I am excited that I'll be able to offer this on 5 of our mobile devices in the library! Kids are going to be thrilled! So will teachers. The regular price for a subscription is $24.99 per year. Still a good deal but I so appreciate Tales2Go's effort to reach out to schools with their promotion. If you have not seen the original demo of the Tales2Go app, you can watch it below. I have been looking at this app as a great way for kids to experience stories using mobile devices. But I now see that there are also huge implications for classroom teachers. The ways in which the stories are organized make it a great tool for teachers looking for the perfect book, a book to go with a genre study, etc. I had previously only thought about this as a way for individuals to enjoy stories. But I now see the possibilities of sharing this with a whole class using a speaker system. I can also see the power of this as a great listening type of activity for several kids using my new favorite tool, the Belkin Rock-Star 5 Way Headphones. Tales2Go has won several awards and has gained in popularity quickly because of its quality. (You can read the info from Parents' Choice Awards here.) The promotion they are running for schools is a great treat for everyone. Thank you Tales2Go! I have been working in the library to get more online resources and varied reading available to our students. We have a school wide subscription to TUMBLEBOOKS which kids love. We also have started using iPod Touches and Kindles but are at the very beginning stages. I want all of our students to have access to a variety of tools for reading and learning. One of the huge challenges I have had with many online literacy tools is how inaccessible they are to young children. Even if they are marketed for young children, many do not support students who are new readers. With my understanding of literacy in grades K-4, I am really looking for something that supports students as readers, writers and researchers and often the tools aren't build that truly support young children in growing in these areas. One of my favorite resources that I purchased is a subscription to Pebble Go. 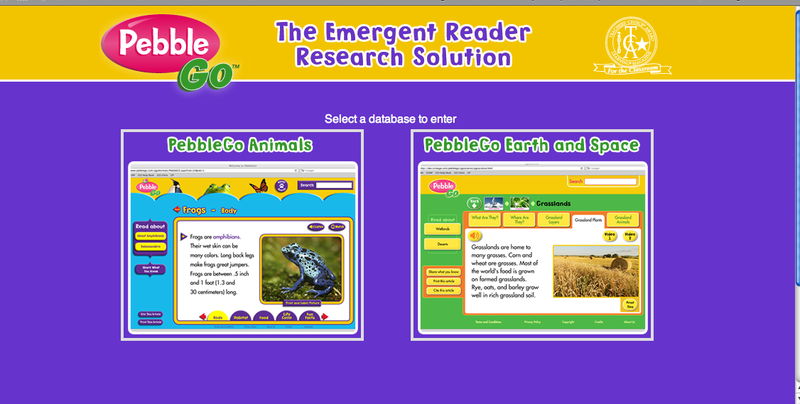 Pebble Go is a nonfiction tool designed for students in Grades K-3. There are two databases available--one on Animals and one on Earth and Space. Our school purchased a subscription to both from Follett for a total of $695 for the year. One of our district librarians had mentioned it several timed and I looked harder at it at the SLJ Leadership Summit in October. I LOVE LOVE LOVE Pebble Go. This week, I introduced it to 1st-4th graders at our school. The subscription we purchased allows students to access it from home or from school with our school's password. I can't tell you how many kids told me they visited the site the evening following the introduction I gave. 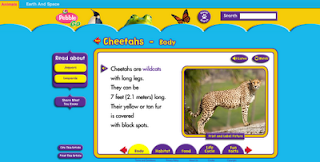 -Pebble Go is a great nonfiction resource for kids. The text is simple, yet filled with great information. The images go with the text and there are videos, maps, and sounds that go along with the text. Each topic is divided into subtopics and "tabs" with headings so students can access specific information. I love that kids can learn from a variety of media on a topic. There are also many different ways that information is categorized which is great for kids of this age. -Pebble Go gives students lots of layers of support. There are visual searches for students who need that but there is a search box for students who want to type in a search. There is a "listen" option for students who want text read aloud to them or who need search categories read aloud to them. Students can also choose to read text on their own. The entire resource gives layers of support and kids can use the supports as needed. -There are words highlighted for students to get more support. If they do not know the highlighted word, clicking on it gives them a pronunciation and definition (read aloud to them if they'd like). Most of these are science specific words related to the topic. -There are supports for students who are using Pebble Go for more formal research. There is a button that students can push on each page to "Cite the Source". A pop-up window provides the info which makes for a great intro to citing sources. Students can also use photos and print articles in a printer friendly format (font and layout continue to support young readers. I see this as a great intro to research, but more importantly, it is a great source of nonfiction reading for young children. It was a hard decision to decide to spend $700 of our library budget on these two databases but one of our goals has been to add more "readable" nonfiction text. Although we have a great deal of nonfiction, it is hard to find lots of nonfiction that can be read by new readers. 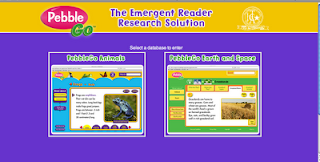 This tool has hundreds of topics and the nonfiction text is accessible to readers at many reading levels. I also see it as a huge support for content learning and a great language support for our English Language Learners. An added bonus is that our older kids are enjoying the resource. Some siblings have come in and told me that they've explored the site together. The tool is so supportive of young children, that they need no help to use it well once they've been introduced to the basics. And it is so interesting in terms of the information, that it is engaging for older kids too. Pebble Go has a great white paper that shares more details about the product. There is also a video on the Pebble Go site that helps explain it better. I have never really reviewed an online resource like this, but I am so excited about this one that I wanted to share it. I think it is well worth the 70 books I didn't buy because of I used the money for this. Instead of having 70 kids check new books, out, all of our K-5 students have access to this great nonfiction 24/7. 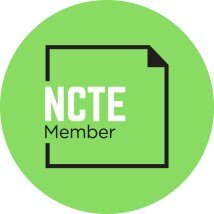 One of the things I learned early in the year (through a survey) is that our students spend a lot of time on computers but don't really know of great sites to visit. I have been trying all year to help them see the possibilities of things they could do on the computer that support them as learners. 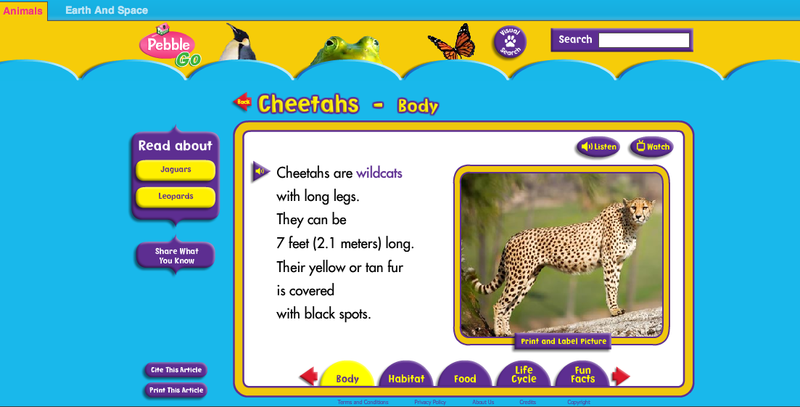 I have always been impressed with Capstone's nonfiction resources for young children. They understand the supports young children need. It is so nice to see that understanding transfer to online products. I hope we see more things like this--things specifically designed to support young readers in ways that are embedded in authentic reading and learning. I take them in the autumn of my hands. Once for thin walls, once for the sound of time. You can go to the William Stafford Archives and see the drafts (in Stafford's handwriting) as this poem grew out of his daily writing. You can also hear him (I think it must be him) reading the poem. Wow. Jama has the roundup today at Alphabet Soup, and there are still a few spots open on the Jan-June roundup host calendar. Comment there if you want to host a roundup in the first half of 2011. I'll share the html code of the calendar for your blog's sidebar once the calendar is filled. And now, a little about the choice of this poem and the title of this post. You might remember that I'm collecting autographs of Poet Laureates. So far, I have stood before Billy Collins, Ted Kooser and Kay Ryan as they signed my books and listened to me babble a bit about my love of their poetry. My brother has had fun these last several years collecting autographs of long-gone Poet Laureates that have some meaning or connection to me. In 2008, he knocked my socks off with the gift of a book signed by Richard Eberhart, the Poet Laureate in the year of my birth, and a book signed by Robert Frost, who was the Poet Laureate before Eberhart (and who was oh-my-goodness ROBERT FROST!!!) Last year he sent a signed book about poets and poetry by the very FIRST Poet Laureate, Joseph Auslander. So some parts of life can actually begin at 50! You have a pretty good chance that you still have at least half of your adult life left to do what you want with (like William Stafford did…)! May you have a healthy and happy second half … and beyond!! I found one more way this book is the perfect one for this year. The three parts of the book are "In Medias Res," "Before the Big Storm," and "Representing Far Places." In medias res means "in the middle part." It's also a literary technique where the story begins at the middle, instead of the beginning. My life story is at its middle, and I feel like the good part is just beginning! Hooray for the middle place in life! Hooray for the times "Before the Big Storm!" Looking forward to traveling to all the "Far Places" that come my way! 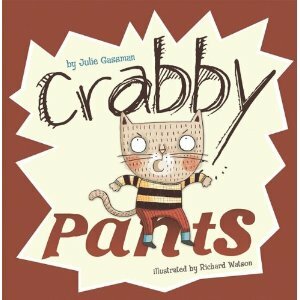 CRABBY PANTS by Julie Gassman makes me laugh out loud! I actually ordered the book because of the title. I didn't even open it up--just saw it online and knew I had to have it. I figured any author who would title a book CRABBY PANTS has to be great. And, I was not disappointed! This is a story about Roger. Who gets CRABBY. A LOT. Roger gets crabby about a lot of things--running out of his favorite food, not being able to go to the zoo, and missing his favorite TV shows. Roger often ends up in the naughty chair. Finally Roger figures out how to stop being such a crabby pants... or does he? I love this book. Roger makes me laugh. I am not sure how the illustrator gave such great facial expressions to this character but the illustrations work perfectly. I am hoping this author/illustrator team have lots more books in the line-up. I love this book. I am pretty sure kids will love it too. My thinking is, "How can you not love this book?" I have been working to find new early chapter books for the transitional readers. As I have always noticed about transitional readers, they jump into complex chapter books too quickly and often get used to reading with minimal understanding. So building a collection of great books that are perfect for these readers is important. We also have primary teachers who are always looking for great "chapter book" read alouds for their young students. Longer, more complex chapter books are often too long and difficult for students to hold onto over the time they take to read. Also, when we read aloud too many books that are well beyond students' independent reading levels, these become the books valued in the classroom and students are often hesitant to choose more appropriate books. 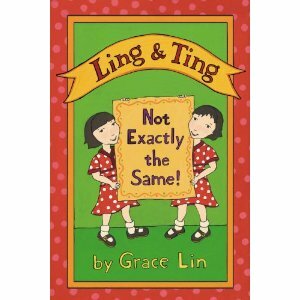 A new book that I just discovered (thanks to #titletalk hosted by @PaulWHankins and @donalybooks once a month on Twitter), is LING AND TING: NOT EXACTLY THE SAME by Grace Lin. I am a HUGE Grace Lin fan. I love her work--all of it. and she spoke at our Dublin Literacy Conference a few years ago. So I was thrilled to see this early chapter book by Grace. Ling and Ting are twins, but they are not exactly the same. This book is a collection of stories or "chapters" about these twins. The chapters each stand alone, which I like. Each tells a different story. But they also work together and connect in very clever ways. This is perfect for young children who are new to chapter books. Grace Lin understand the humor of students who are transitional readers so well. Each story in this book has a little punch of humor at the end--humor that 7 and 8 year olds will love! I fell in love with Ling and Ting and hope that Grace Lin has already written several more books about these sisters. Not only are the text and chapter design supportive but the characters and storylines make for a great read for kids. This is the perfect kind of book for transitional readers and I hope to see many, many more. I have been working with students in the library on choosing good books. Many students who quit books before they finish, don't always spend much time previewing before they decide on a book. They get excited about one thing they read or see and then jump in, only to find that the book isn't what they had expected. I am working with them to take more time to preview. There are so many great new ways to preview with the tools available today. Kids can listen to podcasts, can learn about the writing of a book from the author, watch book trailers, and more. I want my students to know all that is out there around a great book. As you may know if you read my blog, I am newly obsessed with QR Codes. After reading Jeff Utecht's blogs post that explained the codes, I carry my iPhone around hoping to find one everywhere. SLJ also ran an article on the uses of QR Codes in the library. I love the student written QR code review on the sidebar of the article. I think if kids know what is possible, they can begin to create these. 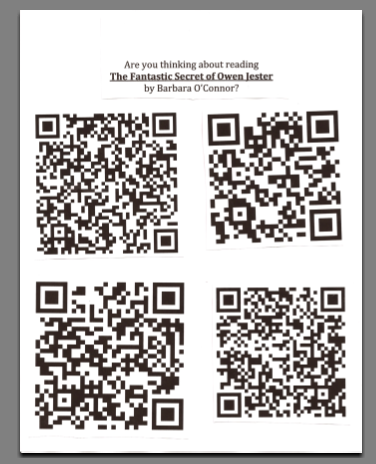 I created the above sheet of QR Codes to go along with Barbara O'Connor's new book The Fantastic Secret of Owen Jester. 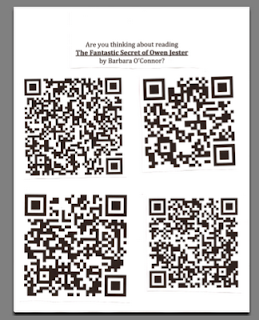 Each QR Code takes readers to a different place--the video book trailer, Barbara O'Connor's website, the publisher page for the book, and a blog review. I think the sheet of QR Codes will allow students to have quick access to sites around books that I may share or book talk. Rather than searching for reviews or typing in URL codes, students can get right to the sites with QR codes. This will give them experience finding lots of information on a book, visiting sites they might want to go back to. In time, they can begin to create QR codes of their own book reviews as well as sites around books. QR Codes are a little trickier at the elementary level because most of our students do not carry smart phones with them. But we do have access to a few iPods with cameras and I am looking for a desktop QR Reader that works well with Mac. I want my students to have their eyes open to these QR Codes in the world. 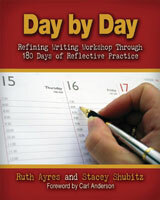 Last month we reviewed the great new professional book by Ruth Ayers and Stacey Shubitz called DAY BY DAY: REFINING WRITING WORKSHOP THROUGH 180 DAYS OF REFLECTIVE PRACTICE. We love the book and hope you've had a chance to pick up a copy. (They seemed to be flying off the shelf at the Stenhouse booth at NCTE!) If you haven't at a chance to look at it, you can browse the entire book online at Stenhouse. Today, we are the first stop on Ruth and Stacey's blog tour! If you want to follow them around for the week, they will be visiting several blogs to talk about their new book throughout the week. Franki interviewed Stacey about the new book, their blog and writing. Franki: Tell us a little bit about how you got your idea for Day by Day. Stacey: Day by Day is an outgrowth of our blog. When Ruth and I were approached about writing a book for Stenhouse we envisioned a book that focused on reflective practice, within the context of the writing workshop. We thought a text like this would be useful to teachers who were trying to get in the habit of being more intentional about their teaching. Franki: What do you hope teachers get out of the book? Stacey: There are a few things I hope teachers get out of this book. First, I hope teachers who’ve been teaching writing workshop without reflecting on their practice daily will begin to make time for reflective practice. As someone who initially scoffed at the idea of reflecting on my teaching (when I was obtaining my first master’s degree), I’ve come to realize that setting aside time for reflection is what can make one’s teaching much more responsive. Each of the 180 discussions in the book include a challenge for teachers, as well as two or more reflective practice questions. Therefore, we’ve made it easy for teachers to get started with their reflective practice journey. Additionally, we share our triumphs and our shortcomings throughout the text. I hope our candidness will help teachers develop an awareness that not every minilesson or conference will be perfect, but that they can learn and grow from their successes and challenges by reflecting on them daily. Finally, for those teachers who teach writing workshop in isolation, I hope they find this book to be like a compassionate colleague they can turn to at the end of a day. No one should ever feel as though they’re teaching alone. Franki: Your blog Two Writing Teachers follows your belief about the importance of daily reflection in teaching. Can you talk about how your blog has changed your teaching? Stacey: Ruth and I started Two Writing Teachers when I was transitioning to teaching a new grade (from fifth to fourth) in a new state (from New York to Rhode Island). Blogging about my teaching -- the good, the bad, and the ugly – on a daily basis helped me to become more thoughtful about how I approached the teaching of writing. Additionally, receiving comments from other bloggers pushed my thinking and allowed me to consider new perspectives and approaches to use with my students. Franki: What are the things that you love most about writing workshop? Stacey: I love watching the way writing workshop helps children find and develop their voice. Writing workshop shows students that they have poignant stories to tell and important messages to share with others. In addition, I enjoy witnessing the transformation of non-writers into confident communicators within the context of a writing workshop. Franki: What are your biggest challenges in writing workshop? Stacey: The greatest challenge I’ve had teaching writing, in a workshop setting, has been around conferring. I never felt as though I was getting to enough kids. Even when I’d make it to five students during independent writing time, I always questioned if it was enough… if I met with the right kids on a given day… if I met with someone too frequently… Reflecting on my teaching helped me to work through those internal struggles; I became more confident about my decisions (i.e., who I conferred with on a given day or in a given week) once I thought about them, after-hours, more deeply. Franki: Which resources do you go to as you reflect on your practice in writing workshop? Stick a fork in in -- the schedule is DONE! Stay tuned for the HTML code for your sidebar. Thanks, Everyone!! Looking forward to a great year of Poetry Fridays!! Mary Lee is celebrating a "landmark" birthday (in her words) this weekend. Sing along and wish her a happy day! Happy Birthday, Mary Lee! "The Woodcutter Changes His Mind" by David Budbill, from While We've Still Got Feet: New Poems. © Copper Canyon Press, 2005. Found on The Writer's Almanac. Reprinted with permission of the author. Thanks, David! This is the perfect poem for how I'm feeling today. Today's Poetry Friday roundup is at The Miss Rumphius Effect. 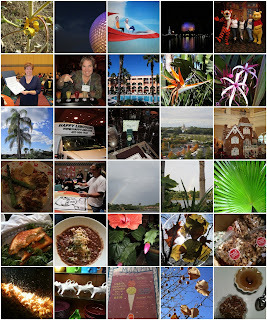 Thank you, Tricia, for rounding up our PF posts!